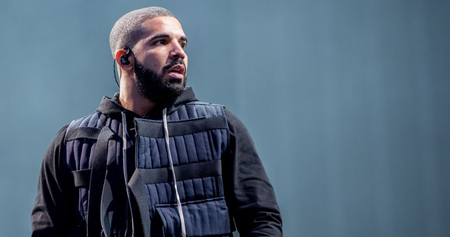 Drake has done it yet again – he’s still at Number 1 with his Wizkid and Kyla collab One Dance. The most streamed track of the week, One Dance has now notched up 13 consecutive weeks at the top, the third longest consecutive Number 1 of all time, behind Wet Wet Wet’s Love Is All Around (15 weeks) and fellow Canadian Bryan Adams’ (Everything I Do) I Do It For You. Despite being the biggest sellers of the week, Kungs vs Cookin’ On 3 Burners’ This Girl settles for Number 2 for the fourth week in a row, and Drake and Rihanna’s Too Good holds firm at 3 for the second straight week. Calvin Harris and Rihanna’s This Is What You Came For is static at 4, while Adele’s Send My Love (To Your New Lover) climbs one place to a new peak of Number 5. The Chainsmokers crash the Top 10 for the first time in their careers with their Daya collaboration Don’t Let Me Down, up nine places to Number 7 and Calum Scott hits Number 10 (up two) with Dancing On My Own, his first UK Top 10 single. Leaping 14 places to this week’s Number 12 is Kent Jones with Don’t Mind and also on the up is Ariana Grande; Into You ascends eight to 14, the highest charting so far from her Dangerous Woman album. This week’s highest climber is Jonas Blue with his track Perfect Strangers, which climbs 22 rungs to Number 16. Also on the rise is Shawn Mendes’ latest single Treat You Better, his second Top 20 single bounces nine places to Number 20. Finally, two new tracks enter the Top 40 for the very first time. Rihanna scoops her 45th Top 40 single with Needed Me, up three to 38. The second newbie this week is from MK & Becky Hill; Piece of Me is MK’s first and Becky’s second (not including her uncredited vocals on Wilkinson’s Afterglow) Top 40 single. This entry was posted on Friday, July 8th, 2016 at 7:31 pm and is filed under Music News. You can follow any responses to this entry through the RSS 2.0 feed. Both comments and pings are currently closed.